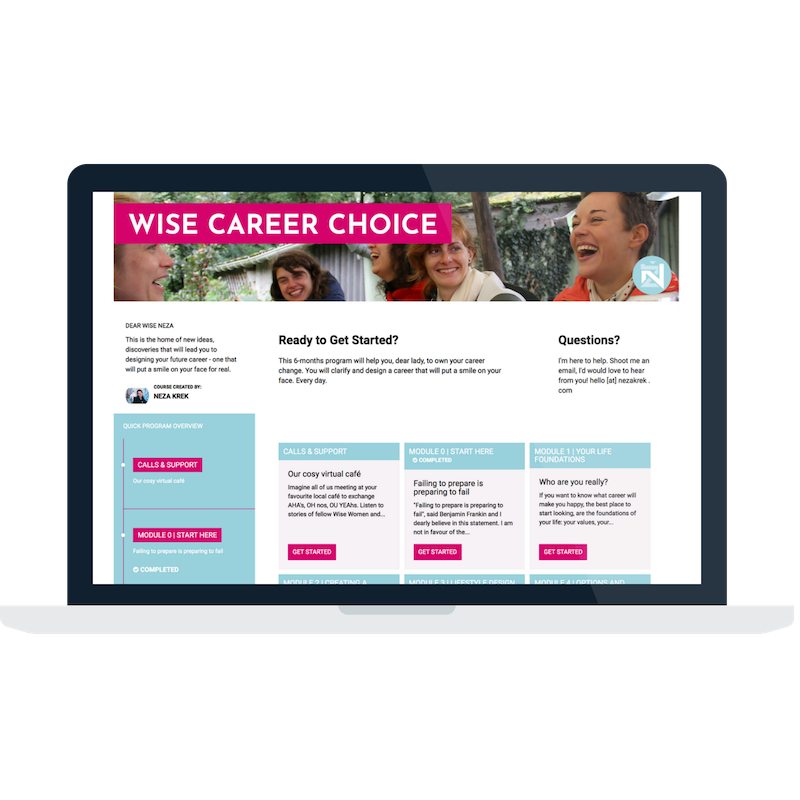 Wise Career Choice program is currently in session. Curious when the next one opens its doors? Leave you name and e-mail below. I'll make sure you know first AND get some goodies because you are ready to roll. Put your name on the list to be the first to know when it opens again.